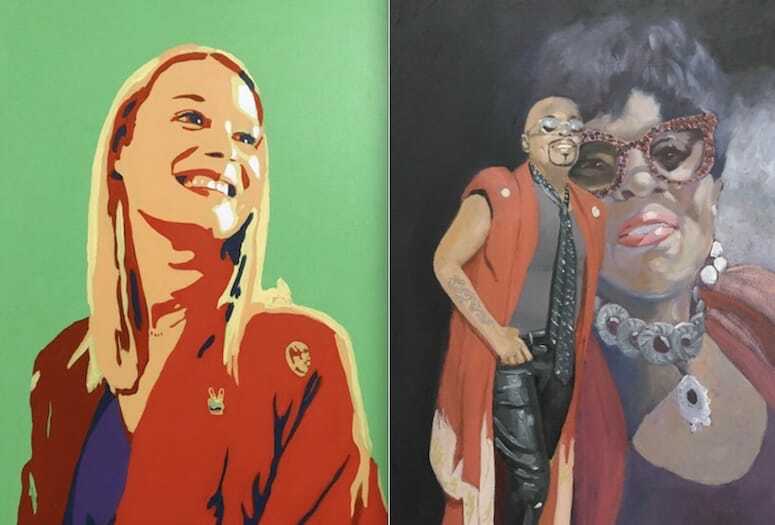 Two of the subjects who posted for artist David Fairrington's Red Kimono 2 Project include Palm Springs City Council member Christy Holstege and Melanie Jones. The color red has taken on new meaning for valley artist David Fairrington. A little over a year ago, the color allowed Fairrington, who teaches at Desert Arts Center in Palm Springs, a chance to let his female subjects make a statement about who they were. The Red Kimono 1 Project offered more than a dozen different looks, but when it was over Fairrington thought he was done with the traditional Japanese garment that he had gotten from a friend cleaning out her studio. Then in talking with friends, he found a new purpose for the red kimono. He began by approaching Palm Springs Mayor Rob Moon, and asked if he would pose while wearing the kimono as a lead subject for Red Kimono Project 2 featuring LGBTQ subjects. VIDEO: From his Cherry Valley studio, artist David Fairrington explains the creation of Red Kimono Project 2. An additional distinction in Project 2 was the subject’s ability to determine how the kimono would be used in the pose. In Project 1, Fairrington asked the female subjects to only wear the kimono. Fairrington will exhibit Red Kimono 2 Project from 6-8 p.m. Dec. 7 at the Desert Arts Center in Palm Springs. An private artist reception featuring the people who posed in the project will be held from 6-8 p.m. Dec. 8 at DAC. “The exhibit is a testing ground to see what reaction people have to the show and if I can garner more people to pose,” Fairrington says. Desert Art Center, 550 N. Palm Canyon Drive, Palm Springs, 760-323-7379; desertartcenter.org.